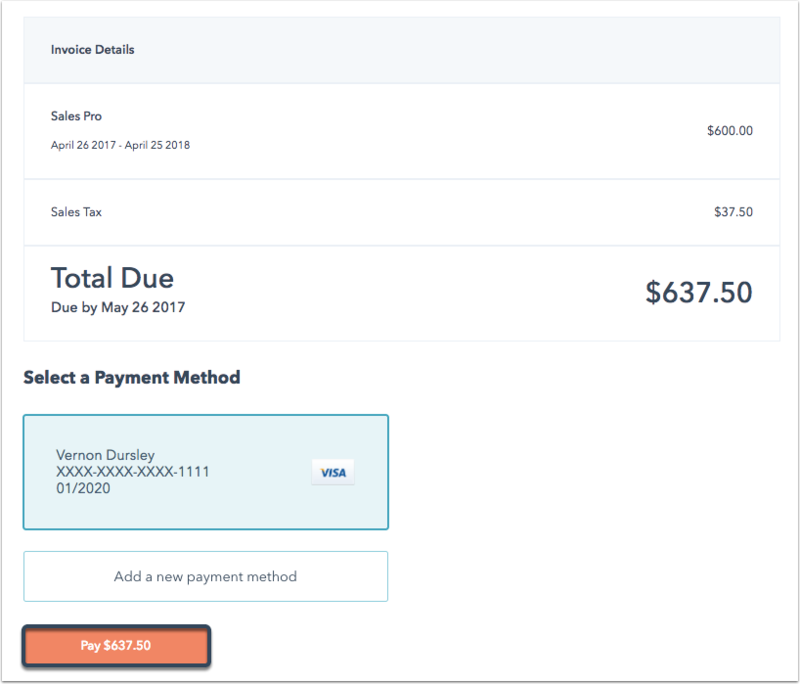 Click Pay now next to the oldest outstanding invoice. 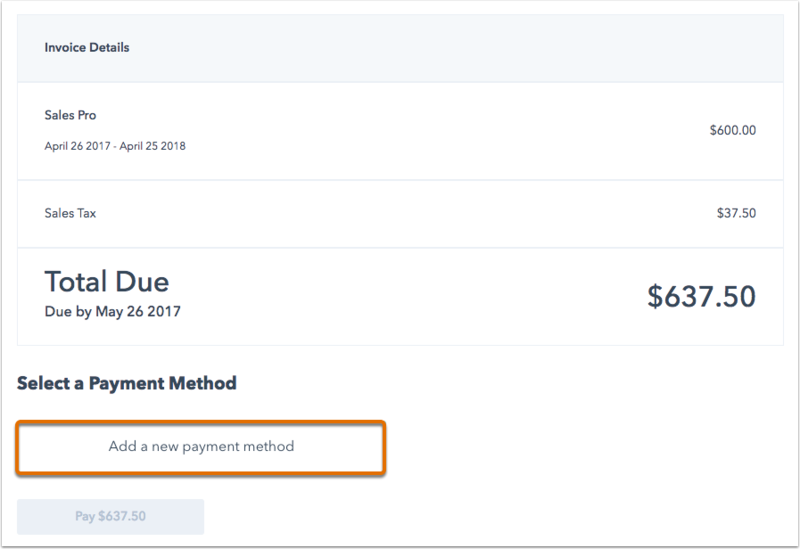 Click Add another payment method (or select an existing payment method). Enter your credit card information, then click Add. Your new payment method will be selected by default. Click Pay [invoice amount] to complete your transaction. 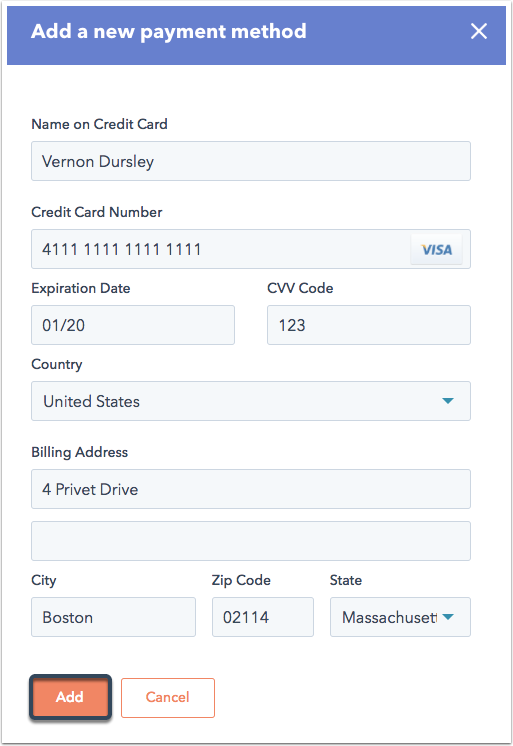 To change your contract to automatic credit card terms, please contact your Customer Success Manager. If you don't have your Customer Success Manager's contact information, click Help to contact HubSpot Support. Learn how to update your credit card information.